Please join us for our meetings at our new location - 3.45 pm, the 2nd Tuesday of each month, at the Ocean Grove Community Hub, 1 John Dory Dve., Ocean Grove. Bellarine Mac User Group is a not-for-profit, all-volunteer organisation established to provide ongoing support and education for people who enjoy using their Apple computers. We welcome people of all levels of experience and expertise. Have a Mac, iPhone, iPad, iPod or Apple Watch? Get expert support and helpful resources by being part of a local community for Mac and iOS users. Get the most from your Mac, iOS device or other Apple hardware with access to our network of benefits. 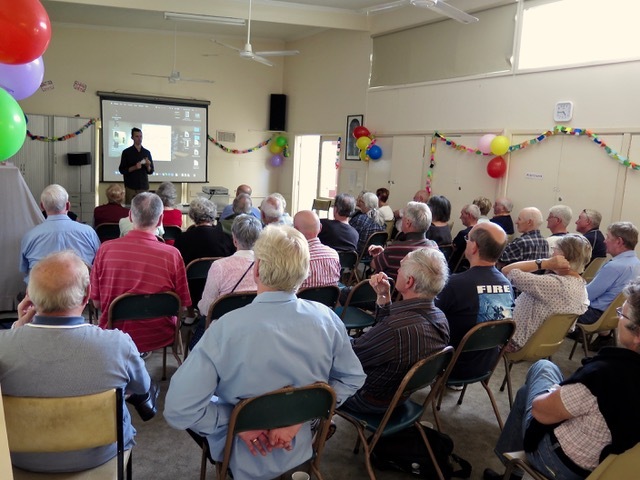 Since 2006, the Bellarine Mac User Group has been the main resource in the Geelong area for users of Apple computers and devices!